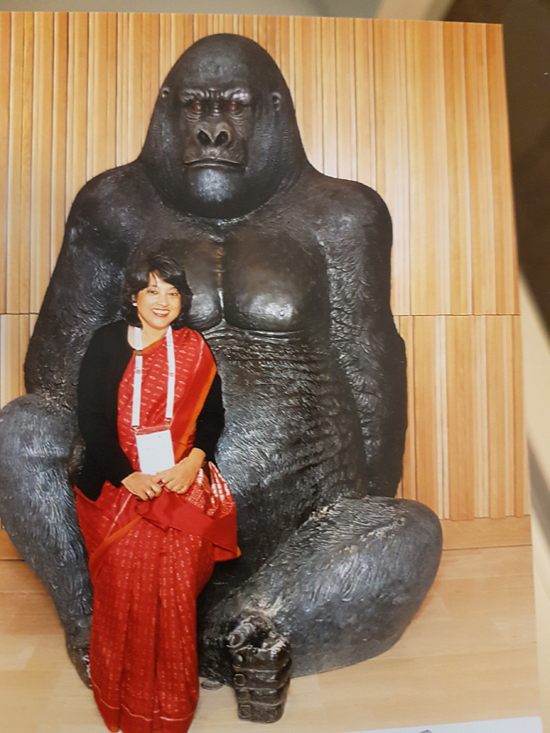 The Managing Director of India-based KW Conferences since 2005, Monimita Sarkar has been in the industry since 1994. She has played a key role in the company’s expansion, growing it from a single office to offices in 4 cities across India. I was an accidental drop-in. I trained as a lawyer and was in practice for three years. When my kids were born, I took a five-year sabbatical and never went back to law. Instead, I started doing temp work at conferences, and before I knew it, I was IN. I have seen the meetings management segment in India evolve from a very nascent stage to its current position. Back in the day large conferences were held under the aegis of various ministries of the government and, in cases of very high-profile events, attended by heads of state that the conference organizers would bring in from the UK and Europe. Our company would provide piecemeal services. The turning point for us was when we began offering turnkey conference management. So, its been a long and eventful journey, the going has not always been smooth, but it has been exhilarating working on different projects with a global clientele, which has offered me the opportunity to grow personally while leading the company. The meetings industry is my passion. It isn’t a job or a business for me, it is what keeps me going! First and foremost, it has been my privilege to nurture a great team. Every time I see one of the team members excelling and learning new things and being able to grow, it brings me immense joy. A couple of other highlights include the fact that my company was taken on as Meeting Consultant for the 3rd Annual Meeting of the Asian Infrastructure and Investment Bank, a new multilateral bank. I was also on the Customer Advisory Board of Starwood, which gave one an opportunity to work with the group to understand the group’s requirements. This included suggestions around response time and rate, including the need to offer the “first rate best rate”, particularly with key clients. To develop a very strong site inspection system irrespective of which hotel one was visiting. The Global Key account manager was a great feature offered by Starwood at that time. It provided a fantastic networking opportunity with hotels across the globe and with various other customers of Starwood where key relationships were formed. I co-chaired the ICCA Congress in Hyderabad 2010. And finally, I am delighted to be the India partner for the Association Leaders Forum since its launch event in 2016, and to play a key role in delivering value to associations that are our primary clients. When there is an alignment of the clients’ views on how the work is to be executed with ours, the synergistic outcome is exhilarating. That kind of collaborative effort reinforces my passion for this business and invigorates me to keep learning, understanding and growing. An example of this is when I was part of the bidding team for the World Public Health Conference in 2012, and which was then organized very successfully in 2015 in India. My client was extremely collaborative, and I was an integral part of the congress. As a result, the project was not merely my job, but it shed light on some of the real challenges of public health, both in India and globally. Today that knowledge has helped me identify an area that needs support –the senior community, which, in India, currently numbers 120 million. I have created an event and a series of workshops for community. If it hadn’t been for my deep involvement with the World Public Health Conference, I would have never had that insight. After many years in the business, what I give to an event/client more than anything is strategic insight, ranging from the congress /conference at hand to marketing, membership development and more. One of the myths that exist to date is that India is largely a vegetarian country. The reality is quite the reverse, with only under 40% of the population being vegetarian. The rest eat fish, chicken and mutton. All this to say, India is a large, diverse country and food habits and cuisines change every few kilometres. It is important for the organization to have a clear idea of the objectives of holding the meeting and use those objectives as guiding principles while also being flexible and sensitive of cultural differences when working globally. Being part of the meetings industry for the last 24 years, I have been privileged to work on several prestigious events, across diverse areas with a global clientele. But what I really wanted to do was actively contribute in building a movement and community to enhance the quality of life of our own seniors. That is how the Unmukt Festival was born. The vision of Unmukt Festival is to bring together information, products and services and create a single platform on the topic of senior living in India. Its inception resulted from the personal experiences I had with my elderly mother and a realisation that while the changing social and economic landscape in India has implications for the whole country, one particularly vulnerable group is senior citizens. Unmukt means “unfettered” or “unlimited”, which is how we believe life should be lived, at every stage. Unmukt Festival is India’s first mega event for seniors and their families. With over 35 workshops, 15 live demos and many booths showcasing products and services for seniors, the launch event at Hyderabad covers 6 major areas of senior life – health and wellness, finance and legal, technology, senior living, and home care and lifestyle. In keeping with the vision, both the event and the concurrent workshops are completely free. My vision is to take this to different states in India and make the information and knowledge available to seniors at no cost – to make a difference to at least one life. At home with my husband and dogs and exploring. A knife, to make survival possible. The saree, it’s truly versatile. The Alliance brings together an incredible group of people who are leaders of companies at the forefront of the meetings industry in their countries. The link is that we truly want to come together to share ideas, collaborate and use the opportunity to build strong relationships. We really are an extension for each other in our respective countries. It’s a very tight-knit group, which makes it easy to collaborate. Read our previous interview with Kaoru Shibuta, Secretary-General of the World PCO Alliance.